We’ve already looked at the rights of European citizens in Britain after Brexit. What about the other side of the euro? There are roughly 1.3 million Brits living in Europe according to UN estimates. What will happen to them after the UK leaves the EU? Particularly in terms of a ‘no deal’ scenario, will they still have the right to live and work in the European Union? Who decides what kind of rights they will retain? What do our readers think? We had a comment sent in from Roger, who hopes we will see reciprocity between countries in terms of granting citizen rights after Brexit. We have indeed already seen some countries (such as France and the Netherlands) unilaterally extend certain rights to British citizens even in the event of ‘no deal’. Will other EU countries do likewise? To get a response, we spoke to Jane Golding, Co-Chair and Founder of the campaign organisation British in Europe. How would she respond? Will we see reciprocity between countries in terms of granting citizen rights after Brexit? However, as far as we’re aware there is no legislation that has been adopted yet, although a number of countries have made proposals or political statements about what might happen, and at the moment we’re seeing different solutions being proposed in different countries. Some would be very much based on our previous status and our EU rights, the others I think we may just default to pure third-country status, which obviously is not the best solution. 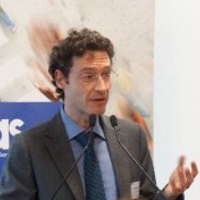 For another perspective, we put the same comment to Dr Anthony Valcke, Legal Expert of the European Citizen Action Service and Supervising Solicitor of the EU Rights Clinic, a partnership between ECAS and the University of Kent in Brussels, which helps EU citizens and their family members who are faced with complex problems when moving around the EU. What would he say? Well, here of course it gets a little bit complicated because you have some countries which are part of the Schengen Area and which have minimum common standards – not completely uniform and not covering every single facet of migration, but – … so, for the Schengen countries you have directives that apply on long-term residence; so people who are not EU citizens who have been residing in a particular country for more than five years get to apply for long-term residence status. You have directives on students, you have directives on work permits, etc., etc. So, those apply for Schengen Area [countries]. So, there are some minimum standards which of course Member States would not be able to provide for a status for British nationals that goes below those minimum standards. And then you have other countries, like Ireland, like Bulgaria, like Cyprus, like Romania, which either are not part of the Schengen Area – that’s Ireland – or are not yet fully part of the Schengen area, in which case their national law would apply. What rights should Brits living in Europe have after Brexit? 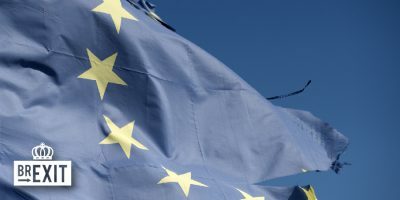 Will a ‘no deal’ Brexit mean a patchwork of different rights across the EU? Or will there be reciprocity between countries in terms of how Brits should be treated? Let us know your thoughts and comments in the form below and we’ll take them to policymakers and experts for their reactions! I don’t trust anything this rotten “guverment” says so do the other 27 countries involved…whatever Treason May might promise they could well change at a stroke..(Windrush ! )….also applies to the “promise” of scrapping the 15 year voting rule…feeling ashamed of the “laughing”stock Tories and all their lies. I moved to Spain with the understanding my rights having worked and paid my dues into the economy of the U.K., for 40 years would be upheld….. I became a resident in Spain and now my pension and taxes go into the economy of Spain. To default on that contract now for any Government, is in my mind against my human rights, and should be honored. Those taking advantage of freedom of movement prior to the U.K. leaving the EU should be given the respect of continuing on the contract as undertaken whilst members of the EU. 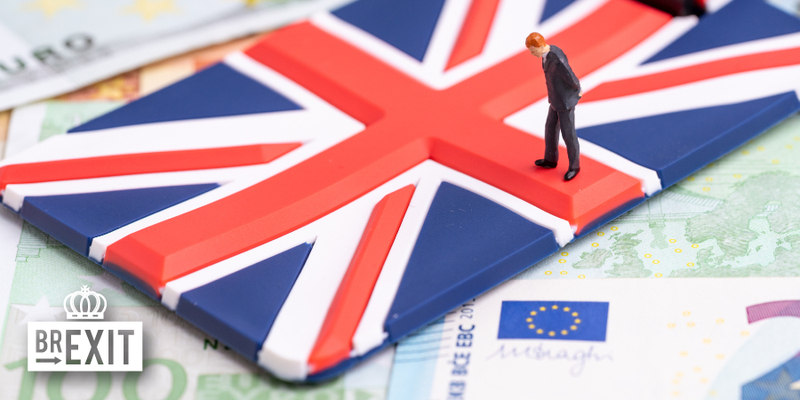 If the contract has to change for those leaving the UK after the 29th of March 2019 in the event of no deal, should be the only thing up for debate. In my mind the same rights should apply to EU citizens living in, or wanting to move to the U.K.
My preference would be, we could turn the clock back three years and the referendum had never taken place. the same they gave to europeans in there country. The question says it all Brits living in Europe” Not Brits living in France”’ etc The EU is all about destroying Nation states. We are EU citizens first. Let them live at the EU. Most of them are old people. Let them stay home here. We want them here. Eduardo I’m not sure that’s true. Most of the Brits I know in Valencia, Spain work. Why should they lose any of the rights they have now.? None other than out of the EU citizens. They have made their choice. They bear the consequences. Move to North Africa, it’s amazing and not run by a group of penises in Brussels. Things are changing fast, I’m working for Amazon int here and they are expanding quickly, means something. The EU is a rip off, always was and always will be. I have been living in Ireland long before the Euro was adopted. What has changed? Nothing. What will change? Nothing. Christophe probably little for the peasants because it will still appear the same. But for the semi rich, the rich and the super rich? Hideous changes. Please, I urge you to read Shakespeare! High matters of state are really serious, but for the peasants ‘life goes on’. The point is; at what level does it go on? In Ireland I have no personal experience but it can’t be different from the average English experience. Shakespeare? No need. I honestly couldn’t care less. 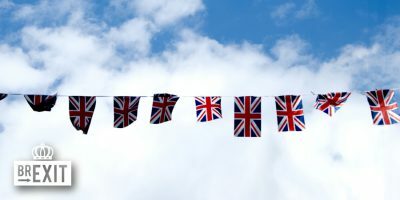 What is Britain anyway? When I was a kid was taught how great Great Britain is. They failed to mention Britain’s bloody history which would put the Devil to shame. A country perpetually led by warmongers. I was criticised for declarating my position. How can I be proud to be British? The Dresden memorial is coming up.look what the Democracies did to Nagasaki and Hiroshima. Our leaders are quick to condemn but it is pointless if they ignore the facts of their own questionable behavior over the centuries. The same rights as anyone applying for a visa or immigration papers. Hopefully I’ll get to stay and keep my job and the visa fees they will no doubt impose won’t be too high. Not the same they have now. Less , much lesser rights…they aren’t Europeans at all. 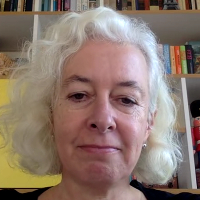 I am Dutch Emiliana, however married an Englishman had children and worked in the U.K. until retiring to Spain, there are many people like me living in Mainland Europe and EU citizens in the U.K., therefore your comment ought to be rephrased…. Very understanding of you . I hope you never have to live through what we are going through right now . And if you do I hope you don’t see many callous comments like yours . I understand your point of view. Howevere they can not have the same rights as the EU citizens. I disagree with your comments because 1)People made decisions based on rights they had at the time . I moved to Spain with reasonable belief that I would be able to continue doing so . Being told that it’s fair that I am stripped of all my rights based on a decision that isn’t even mine is a pretty ugly opinion . 2)Many British couldn’t even vote in a decision that affected their lives due to the 15 year rule (15 years outside the UK means we lose all voting rights). 3) Your opinion of stripping back our rights or even completely removing them risks breaking up families and uprooting people’s lives .. Perhaps this doesn’t bother you but it would bother my Spanish daughter and partner . We are people not statistics and politicians numbers. I find your opinion rather heartless and poorly thought out . Finished. Yes we are, whatever our stupid government says. We are Europeans to our core. Our rights should not be removed retrospectively, especially since two thirds of us were not even allowed to vote in the referendum. And by the way . We are Europeans . Brexit was a vote to leave a political organizational , not to change a geographical location . The UK is geographically part of Europe . The same as Europeans get in the UK! We should leave the doors open as an ex member of EU and a country that we strongly want to cooperate with. They need us and we need them. A civilized divorce. Let’s show that we still want them in the EU. Are we sad that they decided to leave? Now is the best moment to prove it. Yes, we care for England. You are right Sir. I should have said Britain. We have to vote again. Same as Europeans in UK. The exact same rights Europeans receive in the UK. Which is not what they get presently. They are denied the same kind of benefits and health care Europeans presently receive in the UK. It is not reciprocal and never has been. Which is fraudulent and why so many Europeans are living in the UK, they do so much better here. 3 million of them receive all our benefits, health care, education and more. Brits living in Europe get nothing like the same from their collective countries. So, the UK government must make sure all Europeans get exactly the same benefits and health care, etc., as all Brits living in all of the other 27 EU countries do and that they are as well taken care of as those getting housing, health care, education, welfare benefits they get in the UK. And if we don’t get it, all Europeans living in the UK must not be able to get it from us either. And must be told to go home if they cannot support themselves without our welfare, just as Brits are told to do now if they live in the EU. This is totally wrong, Catherine. It is illegal under EU rules for EU nationals living in any country to be treated differently from the native population with regards to job opportunities, healthcare and benefits. I hope you made your point out of ignorance rather than racism against EU nationals in the UK, who are net contributors to the economy to the tune of billions. The idea of EU nationals going to the UK to claim benefits is a complete myth. We should, of course, retain the same rights that we have now. The rights of all EU27 nationals in the EU and UK nationals living in the EU27 should have been ring-fenced from the start. We are not criminals – why are we being treated like criminals for simply using our rights as Europeans, as we were encouraged to do since childhood? You have missed the gist. What I wrote was, citizens of the UK, no matter which EU country they decide to reside must be provided for on the identical standard they would have in the UK. Free at the point of use. Not added fees for health insurance, etc..The British standard not the reduced standard of EU benefits they would receive if they move to another EU State. As EU citizens are given and expect from us. Which is the same benefits the UK indigenous receive. Europeans who live in the UK get far more in health care, education, welfare, social housing, unemployment benefit, including council tax payment, housing benefit, full free health care under the NHS, all free at the point of use and utterly free if they don’t work. Help for heating, help with transportation, elderly care, disabled care, mental health care, child benefit, special schooling for under achieving children, maternity care, and on and on. British people do ‘not’ receive anything like these benefits in other EU countries, now or ever, even close to what Europeans receive in the UK. Which is why we have three million in our country presently. Are you telling me that because each EU state does not and cannot live up to our standards of welfare, paid for by the British people in every way, including huge donations to the EU club in the billions each year, we should swallow the argument that their citizens don’t get that assistance at home, so why should we? Please, get off your knees. We have been done and for years. 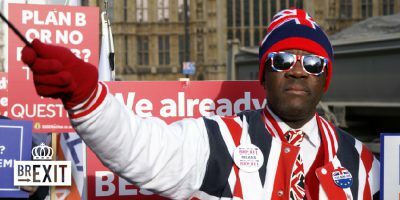 The answer is, the British people in the UK must insist that every individual coming from the various EU states and outside of it, must not be eligible or given any benefit that exists in our country if they do not exist in their own state of origin for reciprocal use by the British citizen. In other words no extras for EU nationals living in the UK. And no right to any of our benefits to others from elsewhere who find themselves on our doorstep. Either that, or, the EU states must bring their benefits up to the levels of the UK standard and make those same benefits available to British people should they choose to reside in an EU country. This includes full free health care, immediate social housing, full education, maternity benefits and maternity health care, elderly benefits, including pension credit, disability allowance, heating allowance, council tax and so on. Think you can manage this? And this should include Norway, Switzerland, and any and all EU satellite states. As well, all other countries throughout our planet likewise. Our NHS is national health care, not, international health care. Our education system is paid for by our tax payers and indigenous population, for our citizens, not the population of the world. Who, incidentally, reduce the present and previous standards to the point of the absurd. Just so you are aware. And this is peripheral. It is much deeper than this exposure. As you will see, we British are getting the usual short straw. And why would that be? Could it be because of the low self esteem and expectations of our citizens? Here is an explanation of that low self esteem. I think UK citizens should have the very same status as New Zealanders, Australians, Russians and US Americans. They should obtain a visum to stay. Please share this in to every group you can. Get businesses, club and buy-sell it groups to share it. Show that you oppose Brexit. This is now the biggest petition ever in the United Kingdom, with 4,901,700 signatures at the time of writing. You have to have a valid email address and UK postcode to sign this petition. For the government to be forced to revoke Article 50 this petition would have to get in to 8 figures.